This presentation will offer interesting insights and inspiring stories about the Illinois Executive Mansion, home to Illinois governors and their families since 1855. The Illinois Executive Mansion will reopen in July 2018 following a meticulous and privately funded restoration, led by First Lady Diana Rauner. 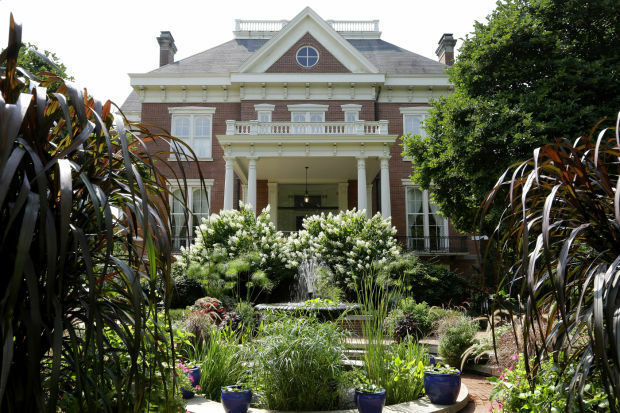 Added to the National Register of Historic Places in 1976, the restored Mansion and its grounds will be accessible and open for tours by professionally trained guides. The visitor experience will focus on civic responsibility through the lives of leaders in Illinois history. New features include a visitor center, orientation film, and an exhibition, The Art of Illinois, which will showcase more than 70 works of fine and decorative art in the parlors of the historic residence. The presentation will remind audiences of the significance of our Executive Mansion and reconnect them to the history of leadership that we share as Illinois residents. Justin Blandford is superintendent of the state-owned historic sites in the capital city. The historic treasures under his stewardship include the Lincoln Tomb and state veteran memorial in Oak Ridge Cemetery, the Old State Capitol and Lincoln Law Office on the downtown square, the Vachel Lindsay Home, the Dana-Thomas House and the Illinois Executive Mansion. He strives to achieve quality service, high customer satisfaction, hospitality, and collaboration with other cultural organizations throughout Illinois.